On Sunday, January 27, Dallas International School continued tradition, holding its 18th annual DIS Music Concert. Located in UTD's Jonsson Performance Hall, this year's concert had vocal and instrumental performances from students CM2-12th grade. Students performed a variety of pieces from classical to modern, solo and ensemble, in both acapella and accompanied with music. 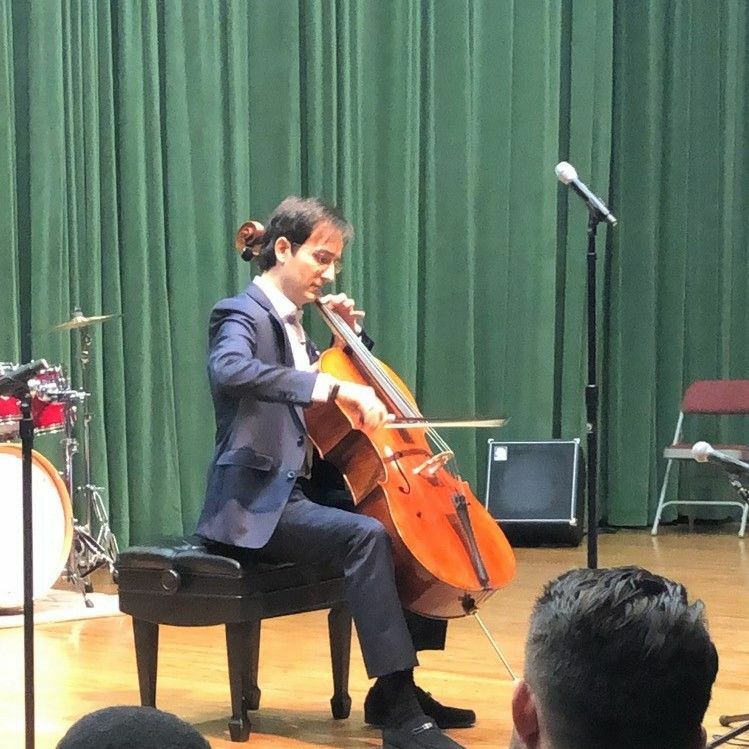 Students and families in attendance received a very special surprise, as guest, classical cellist, international best-selling author, and public speaker, Mr. Oliver Schlaffer opened the concert. Oliver has performed on stages around the United States, Europe, and Asia, including seven appearances at Carnegie Hall in New York City. Oliver has performed in over a dozen orchestras across the United States, including the New York, Chicago and Dallas Symphony Orchestras. A versatile performer, he has collaborated in a variety of genres, with artists outside the classical realm, including live concerts with Josh Groban, Gloria Estefan, Richard Marx, and Andrea Bocelli. Before playing a beautiful cello suite by Johann Sebastian Bach, Oliver spoke to the audience about the importance of following your heart to acheive true happiness. Oliver shared his story about his love for music and how music inspired him to follow his dreams to one day become a professional musician, despite all the difficulties and hardships along the way. As Oliver shared to the audience, "I want to encourage you to think about what really drives you, and remember that the number one driving factor in reaching success is caring, caring for everything you do and what you put into your craft." Thank you to all the DIS students, families, faculty and staff that made this wonderful night a success, and a special thanks to Mr. Mario Rapaj.